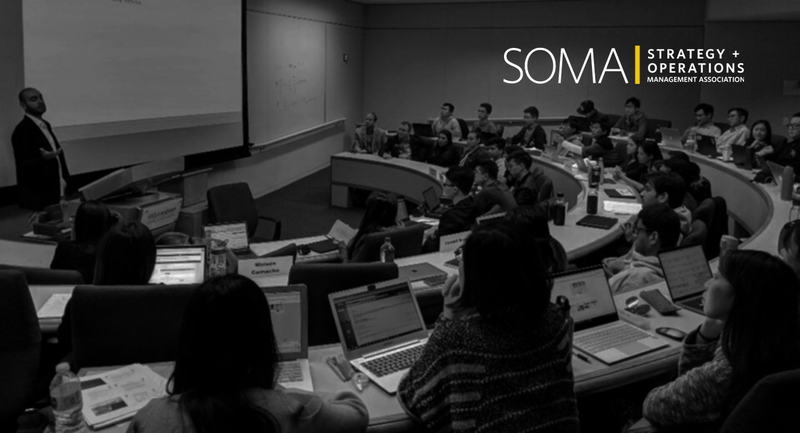 SOMA connects students looking for careers in Operations, Supply Chain, Internal/Corporate Strategy, and Analytics, with organizations and recruiters. We provide opportunities for recruiters to connect with our talented club members through variety of events such as Career Night, Days on Job, Dinners for Four/Eight, Case Competition and other workshops. The 2018 Career Night will be held on November 6th, 2018, for both full-time and summer internship opportunities. It will be held in collaboration with Anderson’s Investment Finance Association (IFA), and represent a number of companies and a variety of functional roles. Over 13% students from the Class of 2017 and 2018 interned in an Internal Strategy, Operations or General Management function. For full-time jobs, more than 13% students accepted offers in Internal Consulting, Operations or General Management and Rotation Programs. For any other query, please fill out this form.